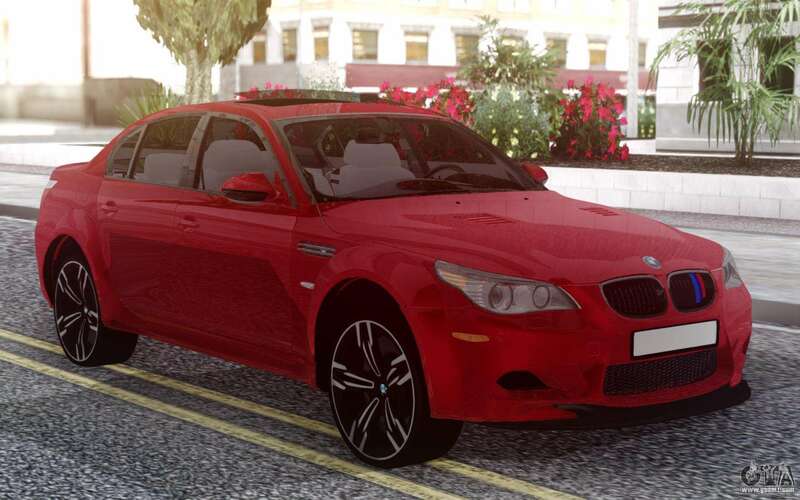 Mod the powerful German sedan BMW M5 E60 for GTA San Andreas. This Bavarian loaded car looks great in the game and develops a crazy speed. 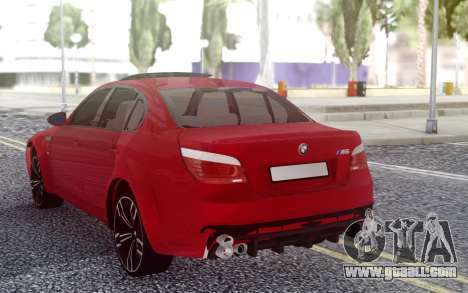 The author converted this model fairly accurately. The interior and exterior appearance of the car completely correspond to the real prototype. 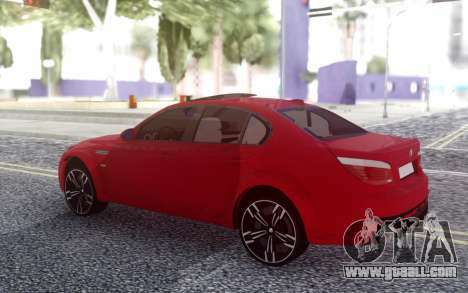 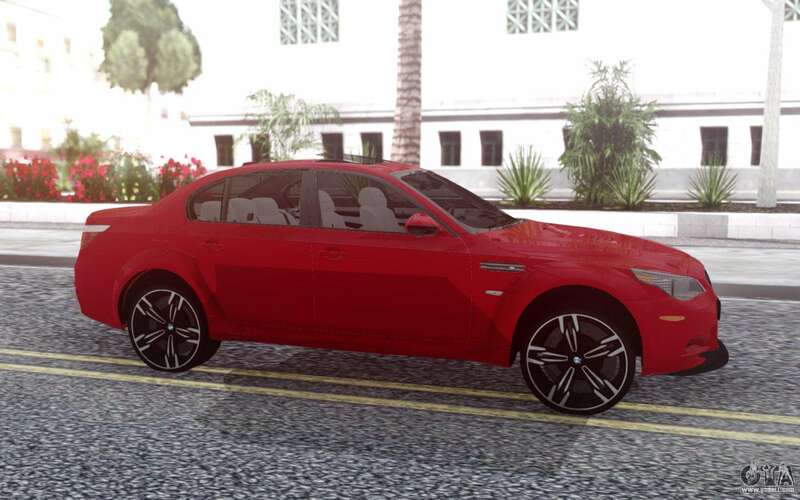 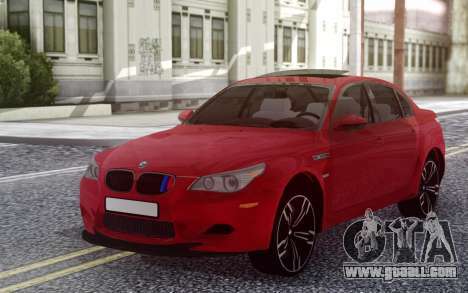 You can download mod BMW M5 E60 for GTA San Andreas with automatic installation via the links on this page. The mod is installed to replace any standard model, and the default replacement for the Sultan.